Coffee is one of the healthiest beverages on the planet- True or false? Well…according to DrippedCoffee.com recent research carried out by many independent medical professionals from universities and health care institutes has shown that caffeine actually has many benefits to our bodies and minds. 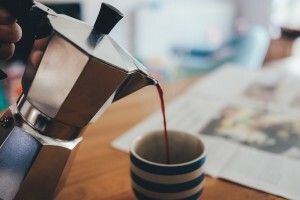 The caffeine present in our daily coffee can help us to live longer, have more mental ability and focus, fight depression and even help us to lose weight. So the good news is we no longer have to justify drinking coffee to ourselves.